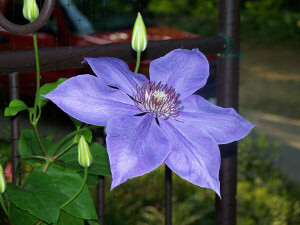 Elsa Spath Clematis: grows in shade. often showing some pink. She'll really compliment your early perennials! does well with just a couple of hours of dappled light in our garden.